Senator John McCain (1936—2018) entered the Naval Academy in June of 1954. He served in the United States Navy until 1981. He was elected to the US House of Representatives from Arizona in 1982 and to the Senate in 1986. He was the Republican Party’s nominee for president in the 2008 election. He is the author of Faith of My Fathers, Worth Fighting For, Why Courage Matters, Character Is Destiny, Thirteen Soldiers, and The Restless Wave. 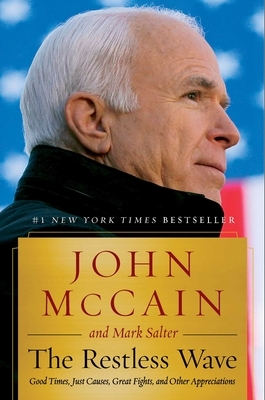 Mark Salter has collaborated with John McCain on all seven of their books, including Faith of My Fathers, Worth the Fighting For, Why Courage Matters, Character is Destiny, Hard Call, and Thirteen Soldiers. He served on Senator McCain’s staff for eighteen years.